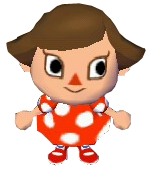 When you first make a new town, Rover asks you some questions that determines 1) your gender (girl/guy; female/male) and 2) your physical features (face/eyes/hair). 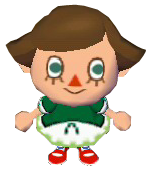 Rover also asks you these if you are creating a new character for your already established town. The first three questions Rover asks will determine your name and gender. After asking for your name, he will then ask if your name is "Cool" or "Cute". If you answer "Cool," Rover will assume you are a boy and he will confirm this with the second question ("I know" or "Not a boy"). If you answer "Cute," Rover will assume you're a girl and will confirm this with the second question ("I know" or "Not a girl"). The next three questions that Rover asks will determine the appearance of your face/eyes/hair. Note: These are permanent so be sure to make the right face before creating your character! The hairstyle can be changed later by visiting Shampoodle in the City. 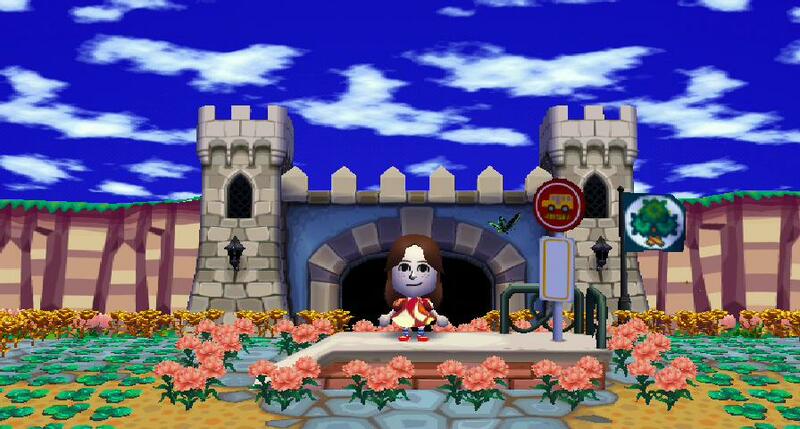 When you visit Shampoodle in the City, you can ask for a Makeover where you can choose a Mii face to use. 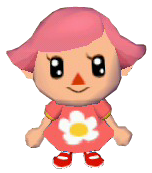 The first time you go to have a Mii Mask done, Harriet gives a chose picking of a Mii Mask to you for free. 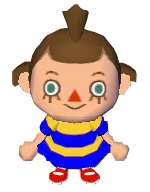 However, after that first time, you have to pay for a new Mii Mask. 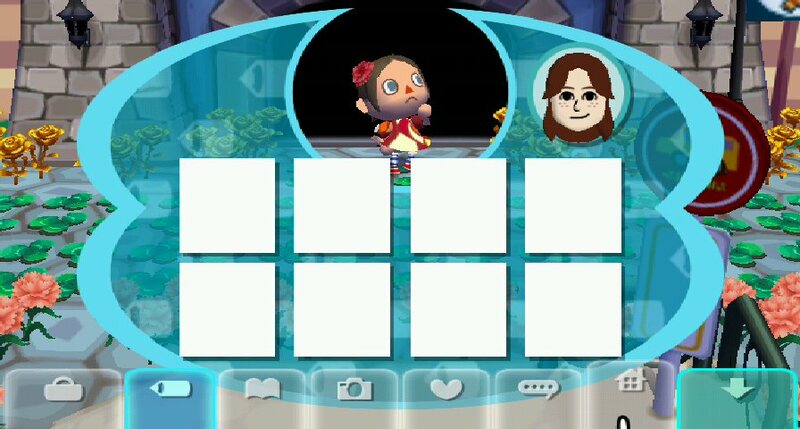 The Mii Mask is taken from the Miis' faces stored on your Wii, so you can be as creative as you want with your mask! Note: The Wii Mask is stored in the Pattern Tab, and can be taken off and stored there when not in use, as shown above. You may only have one Mii Mask per character at a time.